New Delhi, July 26 (IANS) India’s logistics sector would gain the most from the Goods and Services Tax (GST) as costs would fall by almost 20 per cent, Road Transport and Highways Minister Nitin Gadkari said on Wednesday. 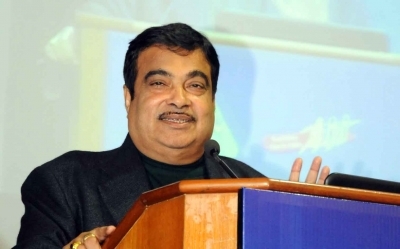 Logistics parks being set up across the country will enable long haul freight movement which would reduce freight transportation costs and throw open many employment opportunities, a ministry statement said quoting Gadkari. “GST will serve to bring down the logistics cost to about 10-12 per cent by facilitating efficient inter-state flow of goods and accelerating the demand for logistics services,” it said. The ministry also released a booklet on the benefits of GST for the transport sector. According to the booklet, an average Indian truck covers only about 50,000 to 60,000 kilometres a year as against three lakh kilometres by a truck in the United States. It attributed this to traffic congestion at interstate check posts resulting in slower movement of freight and passenger, and consequently higher costs and pollution. “This, coupled with the proposed e-way bill that will require online registration for movement of goods worth more than Rs 50,000, will ease the movement of freight further, and bring in more transparency in the whole process,” it said. The booklet added that a single GST also means an optimised warehousing structure with companies no longer needing to have a separate warehouse for every state due to different taxation slabs.